My “why” – Over the last few years my mother struggled with heart disease and was hospitalized a number of times the latest started in October 2012. After seeing her struggle with her health and not enjoying her time with family and friends, I realized that I had put on some weight, gotten out of shape and was headed in the same direction if I didn’t make a change! That change came in February of 2013 when I started at Inspire. My mother passed away in March at the young age of 69 and that pushed me even harder. I wanted to grow old with my wife and see my children enjoy their lives with families of their own. Maybe someday seeing a great grandchild on a soccer pitch would be really cool too. 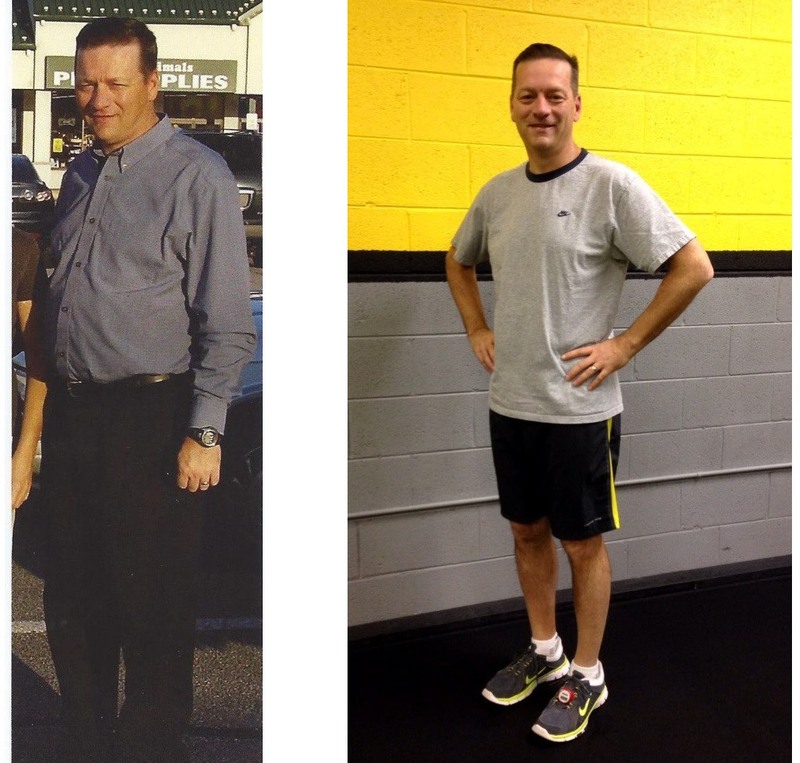 I started by attending boot camps and quickly realized that I was out of shape; however, both Brian and Cathie continued to encourage me to do more and to keep striving to improve. I attended a couple of nutritional meetings and kept hearing that I needed to change my eating habits. This took me some time to buy into and I’m happy to say was probably the biggest thing I did to get myself into better shape. Well, I feel a ton better. I’m working to remove blood pressure and cholesterol medication from my daily routine and should have that accomplished shortly. I have more energy and I enjoy the healthy food that I’m eating now. Going to the gym is now a habit and not a chore – I enjoy my time there. My biggest result is that I’m now down 30 pounds. My wife and kids tell me I don’t have as big a gut as I had before. Check out that before picture – ouch! Epiphany, Spectacular, Boundless, Complete, Enthusiastic, Unmatched, Amazing – I could go on – take your pick!